Switching to Direct Mutual Funds? Keep these 5 handy Tips in Mind! You are here: Home / Mutual Funds / Switching to Direct Mutual Funds From Regular MFs? Keep in mind these handy tips! Switching to Direct Mutual Funds From Regular MFs? Keep in mind these handy tips! Direct mutual funds have been around for over three years now, delivering additional returns across funds to those who made the switch early. If you think that difference is already large, think of the difference compounding will bring over the decades. Yet, only around 12% of investors have gone direct. One reason for this is that investors don’t know how to switch their existing portfolio to direct mutual fund plans. In this article, we’ll discuss all you need to know about making the switch, including how to do it, whether to make a partial or complete switch and even the tax implications of the move. Switching to Direct Mutual Funds? – Keep these handy Tips in mind! RTA Website: You could log on to the websites of a Registrar & Transfer Agent (such as Karvy or CAMS), fill up a form and make the switch. In one go, you could switch all your existing investments in mutual funds. AMC Website: You could also log on to the websites of the mutual fund house to make the switch. This is, however, the worst of the three options if you have investments in the funds of more than one AMC. Direct Mutual Fund Platform: There are also several direct mutual fund platforms (like MF Utility, Jama, etc) that have made this process simple. These websites will route your request to switch to direct through the RTA. Of course, you cannot switch to direct via an online broker or distributor (such as ICICI Direct or Funds India) who deals in regular plan mutual funds only. RTA office: If you choose to do so physically, you could go to the nearest Registrar & Transfer Agent (such as Karvy or CAMS), fill up a form and switch all your investments to direct. AMC branch: You could also go to the nearest branch of the AMC. The problem with this is that you’ll need to personally visit every AMC whose funds you’ve invested in. 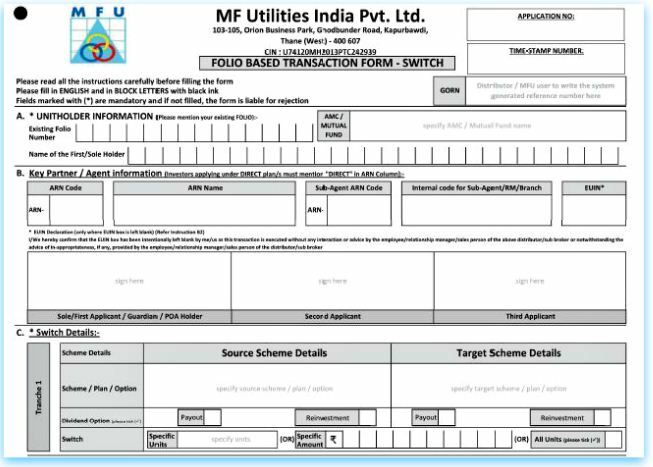 For example : If you decide to switch to direct plans offered on MF Utility platform, from Regular plans of an AMC, you can submit below Switch Form at AMC. Between online and offline, it is definitely easier to make the switch online. It’s a smooth process (with an RTA or a direct mutual fund platform) and takes only a few minutes. You can switch all or some of your existing portfolio to direct plans. In most cases, however, a complete switch is not possible, because a switch is treated as a reinvestment of funds (even though it’s in the same scheme) and, therefore, may be subject to an exit load and capital gains tax (if any). There is no need to switch your entire portfolio to direct immediately. You should only do so once there is no chance of an exit load or capital gains on your investment. 3) Does the switch entail any expense? 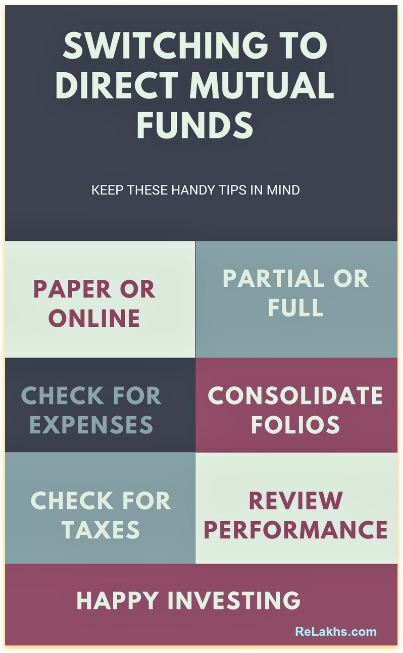 Holding period: It’s very important to note that exit load and tax implications apply to every unit of a fund you own. Therefore, let’s say you started a SIP with a particular equity mutual fund on December 10, 2015. In November 10 2017, you decide to switch it to a direct plan. All units purchased after November 10, 2016 would still attract an exit load and STCG. Exit load: If you are switching from Regular scheme to Direct scheme, this is considered as normal redemption (exit) only. Such transfer shall be considered as a Redemption (from regular plan) and a fresh investment (into direct plan). So ‘Exit Loads’ (if any) will be applicable. While some AMCs have waived exit loads on switches to direct, many have an exit load of around 1% for redemptions under 12 months; in a handful of cases, though, the exit load applies even up to 24 months. So always check the exit load on your investments before making an exit. Capital gains: Since the ‘switch’ is considered as normal redemption request (exit), you have to be aware of the tax implications. Based on whether the capital gains are short term or long-term, respective taxation rules are applicable. As for capital gains tax, equity mutual funds held for under one year attract short-term capital gains (STCG) of 15% (there is no long-term capital gains [LTCG]). 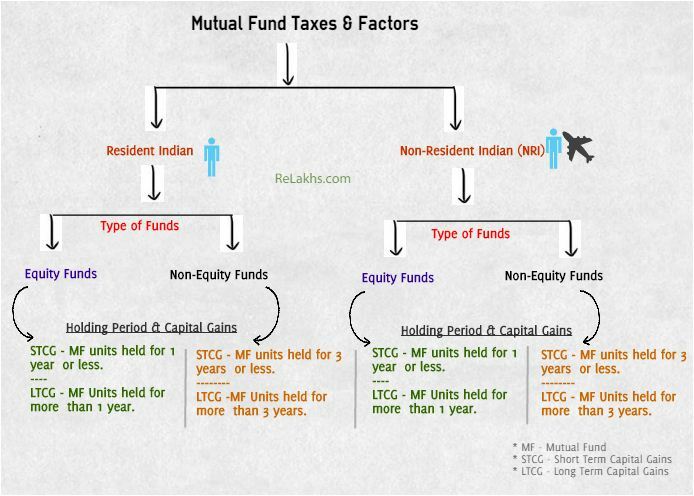 Non-equity investments attract STCG according to your tax bracket and LTCG of 20% with indexation (see more on ‘Mutual Funds Taxation Rules’ here). So, for the regular plan units that have already completed their exit load period and do not have adverse capital gains tax implications, you can switch those units to direct mutual fund plan. Switching to Direct is an opportunity to reconsider your portfolio and re-evaluate. It is almost like relocating from a high cost city to a nicer place with a low cost of living, while still enjoying the benefits and quality of life. You get a chance to prune your portfolio and decide if you should keep a certain fund or not. Not only funds, sometimes investors often accumulate several folios in the process of being sold by many distributors, websites that claim to offer FREE investing. Some of these folios may have the same mutual funds. This not only results in too much mail clutter both electronic and physical, but also adds to ‘investor fatigue’. This is a chance to reduce some of the clutter. One should also re evaluate the portfolio to weed out any lemons (poor performing funds). One should also see if the portfolio over time has become skewed in any one particular direction (eg: too much exposure to equity). Taking an advisor view in this can be helpful. If you are using an online direct mutual fund platform check if they have an advisory capability and background to help you with such decisions. An ability to understand your personal risk profile is also helpful. Investing is much more than a mere transaction. The same goes for a switch too, however operational and routine that may sound. This is a guest post by Ram Kalyan of Jama.co.in. 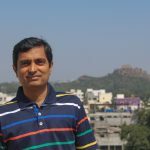 Ram Kalyan Medury is a Fintech Enthusiast and Entrepreneur. He founded Jama, an online & mobile app based direct mutual fund platform and investment advisory. He has nearly two decades of Fintech experience at leading companies like Infosys, ICICI, Magma.As an entrepreneur, he is passionate about spreading investor awareness and helping people invest in high return, low cost instruments that compound their wealth. Ram is a SEBI Registered Investment Advisor and an MBA from IIM Bangalore. Kindly note that ReLakhs.com is not associated with Jama. This is a guest post and NOT a sponsored one. We have not received any monetary benefit for publishing this article. The content of this post is intended for general information / educational purposes only. Ram Kalyan Medury is a Fintech Enthusiast and Entrepreneur. He founded Jama, an online & mobile app based direct mutual fund platform and investment advisory. He has nearly two decades of Fintech experience at leading companies like Infosys, ICICI, Magma. As an entrepreneur, he is passionate about spreading investor awareness and helping people invest in high return, low cost instruments that compound their wealth. Ram is a SEBI Registered Investment Advisor and an MBA from IIM Bangalore. Very well explained about Direct mutual funds Good information. I have invested in Mutual Funds via Scripbox worth 65k. Now I wanted to shift to MF Utility direct funds. Will I be able to do this? What is the process involved in this transfer? How much will I be charged as penalty while moving from Scripbox to MF Utility? Also should I create a new CAN no.? Switching to direct mutual funds is a good idea. You will save 40% to 50% of your total funds in the long run. You need not create new CAN no. This can be done paper-lessly. Please write to [email protected] for more details. Hi, We do have CAMS online also as a direct tool to invest in MF. secondly it can give u consolidated view of all your MF even if u have done it through there individual sites. Yes Mr Nagpal, you can invest through a platform like CAMS Online or MFU. The major drawback is that they cannot offer any fund selection or advisory services such as fund tracking, tax planning etc.. Many people need someone who can stay with them for the long haul on their investment journey! With technology it is possible to get these online at a very low cost. Some platforms offer FREE plans and have paid plans as low as just Rs 41 per month. i have invested in MFs through Nj funds in regular schemes. How can i switch over to direct ones on line. Smart move! Switching is very easy, and rewarding too. Please register at an online platform. You can click on the link below “About The Author” to get started. i didnot get the link mentioned. Please elobrate. You are right. There is no free lunch. Someone offering ‘free investments in Mutual Funds’ is actually costing you in some other way – through commissions that may take 40%-50% of your wealth. They may also influence you to buy other funds where their interest is not aligned with yours. Better to go with an advisor/platform that has a clear, simple and transparent pricing. You can invest in direct mutual funds from ORO Wealth. We were India’s first direct mutual fund platform and have the longest track record. Nice Article, with good information! 1. once i switch from regular to direct – i have to personally stay focused on the scheme returns & mkt performance etc , as the agent through which i started will not be liable for my investments. Is it possible / worth for an amateur investor to take such steps ? 2. Is a re-switch possible i.e. — first i switch from regular to direct and then to regular again ? 1. Valid observation: Direct MF are growing at 36% and lakhs of people are either starting direct or switching to direct. Technology is helping people not only switch to direct, but also give them timely advice. The algorithms are able to understand the risk profile of the investor, recommend which funds to invest in and also review the situation periodically. At Jama we use this extensively and back it up with reviews/advice by SEBI Registered Advisors. This model is actually much superior to the average advisor on the street who may be influenced by commission and hence have a bias. 2. Yes you can switch back to regular funds. The implication is that you end up losing 1% to 1.5% in commissions each year (calculated daily) which actually means 40% or more in the long run due to compounding. 1. 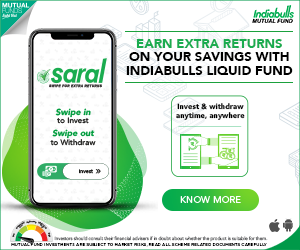 HOW RELEVANT / RISKY IS IT TO HAVE A THEMATIC FUND – LIKE SUNDARAM RURAL INDIA FUND IN A PORTFOLIO OF A RETAIL INVESTOR .. CONSIDERING PRESENT GOVTS. FOCUS ON RURAL INDIA IS IT FINE TO STAY INVESTED ? 2 . AT PRESENT I PERFORM ALL INVESTMENTS VIA OFFLINE MODE – THROUGH AGENT- WHERE ALL MY INV ARE SHOWN IN “FUNDZBAZAAR” PORTAL RUN BY PREUDENT. HOW CAN I SWITCH MY PORTFOLIO TO JAMA ? We generally recommend long term investors to keep out of thematic funds. 1. Choosing a fund from the maze is no easy task and investor therefore relies on advisers losing advantage of direct plans, It is a different thing that they are taken for a ride there in most of the cases. Hopefully this situation will improve soon when categorization of MF takes place and awareness increases with time. 2. Confusion prevails on whether switch between one equity scheme to another should be made in one go or in part. Tendency to time market for selling existing scheme at high NAV and buying new at low slows down switching. 3. This gets compounded further when switch is from debt to equity esp. in situation like the current one where yields are high and market is also at high. One has to sell at loss and buy at high NAV. There is always a fear of low return from past experience when lump sum is invested in high market. It may take more than minimum 5 year suggested earlier by experts, revised to 7 years and then to 7-10 years! 4. SFT, a grey area for most of investors and least understood by them with its mysterious aggregating method is like a rumbler strip. When lump sum switched is more than SFT reporting limit, and few know how it is calculated, it may invite notice and though many people may have nothing to hide, no one wants to face the hassles of handling the notice. This becomes more complex when on expert advice, instead of keeping money in SBA, it is invested in debt fund and then switched to equity at right time. This means same amount becomes double for SFT reporting, as switch is considered fresh investment. Unfortunately, there is no effort to create awareness about SFT and its aggregating method by MFs or experts. There may be more of it. I request Mr Medury to offer his comments to bring clarity on these issues and on how to handle them. 1. Categorisation is a good thing and will help declutter the fund landscape. 2. Switch from one scheme to another should be done after considering the performance, fund allocation strategy, fund outlook, market outlook etc. It is very individual specific. However switching to direct counterparts is in general a good idea. 3. This point is included in the above point. It is individual based and a call one has to take considering all parameters. An advisors view would be helpful. 4. Do you mean SFT as in Statement of Financial Transaction or Systematic Fund Transfer? I assume it is the former in what you have written. A switch means a redemption and a fresh purchase. Therefore there is no double investment. The capital gain report from the MF or the advisor/platform will provide the required information for tax filing. 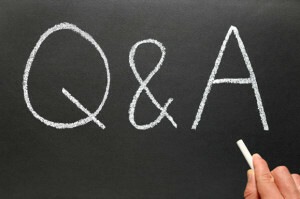 I hope i have understood your question correctly. Please connect with me offline ([email protected]) for any questions. Thank you Aliv! Happy Investing! Thanks Mr Medury for a very incisive article covering finer points put in a simple to understand manner. Hope we will continue to benefit from your knowledge and experience. Thank you Mahesh! Happy Investing! 1) Taxing will be applicable as you have mentioned but one can wait to take tax benefit. 2) Investor has already paid expanse for regular (for ex. 2%), Now he is switching it to direct and again paying (for ex. 1%) for same investment because, it will be treated as a fresh investment. So, he is ultimately paying 3% which is more than regular/direct. How can switching will be beneficial? The regular plan NAV is calculated daily AFTER loading the commission expenses. The direct plan NAV does not include these. The brokers (agents, banks, apps selling Regular plans) are paid out on a monthly or quarterly basis but the accounting of these expenses happens EVERY DAY. So The 2% or 2.5% expense that you pay is only for the days you hold that regular plan. Once you switch to direct plan, the ‘holding load’ reduces to 1%. Let us say you hold a regular fund having expense ratio of 2% for 6 months and then switch to direct fund, then the effective expense ratio for the 12 month period for you will be 1.5%. Hope this clarifies. You can see the impact of these expenses and the illustrations when you scan any of the funds in the Jama app. Thank you for information. I was not aware of trailing commission. Now, I will switch my regular MF into direct MF. Thank you Parth! Happy Investing!